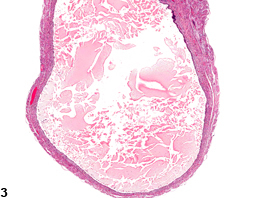 Uterus - Dilation of the uterine lumen in a female B6C3F1/N mouse from a chronic study. There is dilation of the uterine horn. 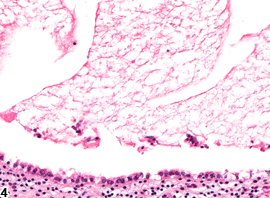 Uterus - Dilation in a female B6C3F1/N mouse from a chronic study (higher magnification of Figure 1). 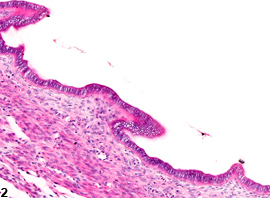 The endometrial epithelium is cuboidal. Uterus - Dilation in a female B6C3F1/N mouse from a chronic study. There is dilation of the uterine lumen, which contains flocculent, eosinophilic material. 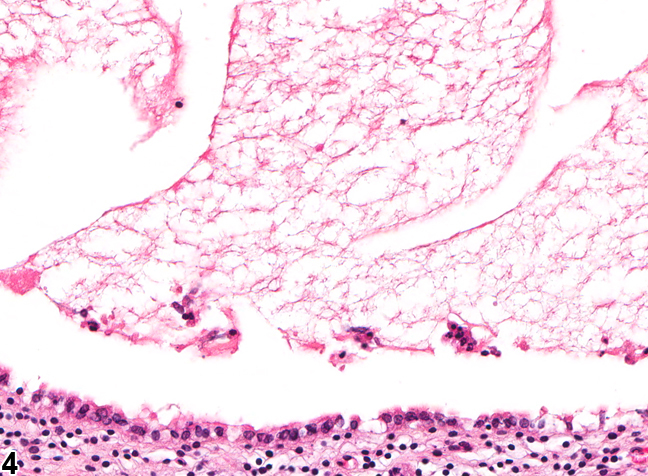 Uterus - Dilation in a female B6C3F1/N mouse from a chronic study (higher magnification of Figure 3). 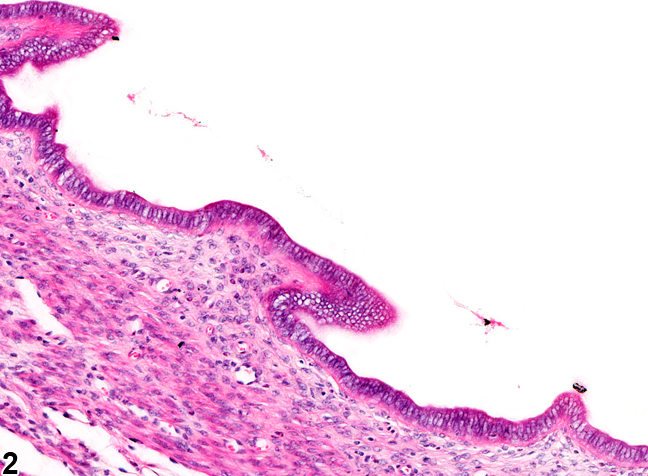 There is flattened epithelium and eosinophilic material in the uterine lumen. should not be diagnosed separately. 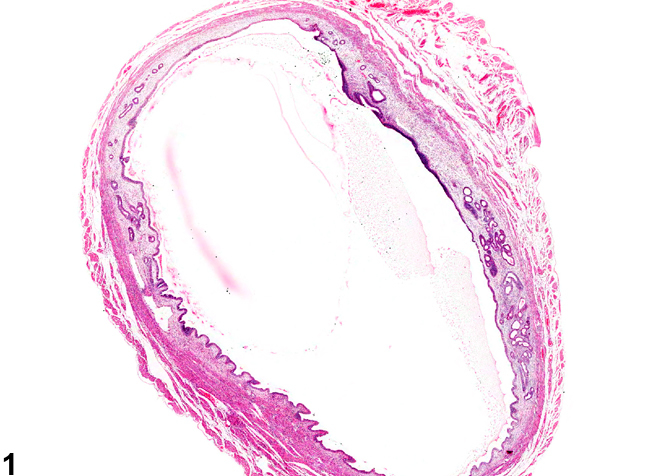 Uterus - Dilation should be recorded and graded when not part of normal estrous cyclicity. Brown RH, Leininger JR. 1992. Alterations of the uterus. In: Pathobiology of the Aging Rat (Mohr U, Dungworth DL, Capen CC, eds). ILSI Press, Washington, DC, 377–388. Dixon D, Heider K, Elwell M. 1995. Incidence of nonneoplastic lesions in historical control male and female Fischer 344 rats from 90 day toxicity studies. Toxicol Pathol 23:338–348.